Voice CompanderThe KG-UV8D Plus now supports companding, which is a form of compression to improve the signal to noise ratio for clear audio. 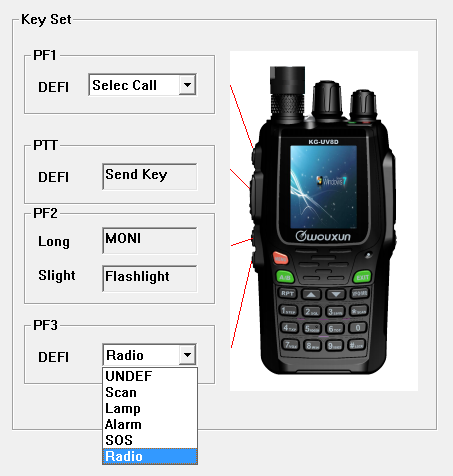 Non-Standard CTCSS/DCSMost radios typically follow a standard set of CTCSS and DCS codes, and radios such as the KG-UV8D have this pre-set list to choose from in the menu of the radio. 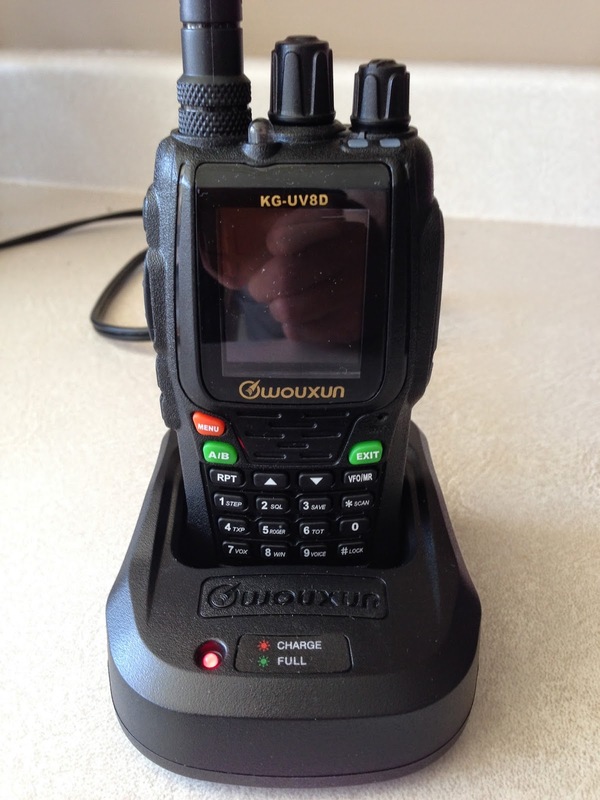 The KG-UV8D Plus allows you to manually enter non-standard CTCSS and DCS codes into the radio. ScramblerThe KG-UV8D Plus is now equipped with a voice scrambler. Since this radio is only approved for use as an amateur radio in the US, and hams are not allowed to scramble their signals, this is not a feature most operators will likely use. However, every country has its own regulations, so the addition of a scrambler may be useful in other parts of the world. Backlight AdjustmentOne of the most useful upgrades to the KG-UV8D Plus is the ability to adjust the timing and intensity of the backlight for the LCD display. This is the same upgrade incorporated into the KG-UV9D Plus and is a long time coming. This feature should be in every two way radio with a display. FM Radio Frequency Storage and RetrievalThe KG-UV8D Plus now allows you to store up to 20 preset frequencies into the built-in commercial FM radio. Some operators do use the FM radio to hear their favorite local commercial radio stations and will likely find this to be a very handy feature. "The KG-UV8D Plus currently sells for $119.99, only $10 more than original KG-UV8D with the 2600 mAh high capacity battery upgrade, and you get the bigger battery, too." "The standard KG-UV8D regularly sells for $159.99, but for a limited time, Buy Two Way Radios is offering the standard Wouxun KG-UV8D for a special holiday sale price of only $99.99! That's right, the 8D is now available at just under $100! This package includes the Wouxun KG-UV8D with black buttons and all the standard accessories in the box, such as dual band antenna, 1700mAh Lithium-Ion battery pack, belt clip, wrist strap, charger tray, AC cable and owner's manual." "First, the KG-UV8D is now available with 2.5k step. Early versions of this radio were only available with a minimum 5k step. Of course, an eventual update to a 2.5k version was expected, and Wouxun recently brought addition of the smaller step to market." 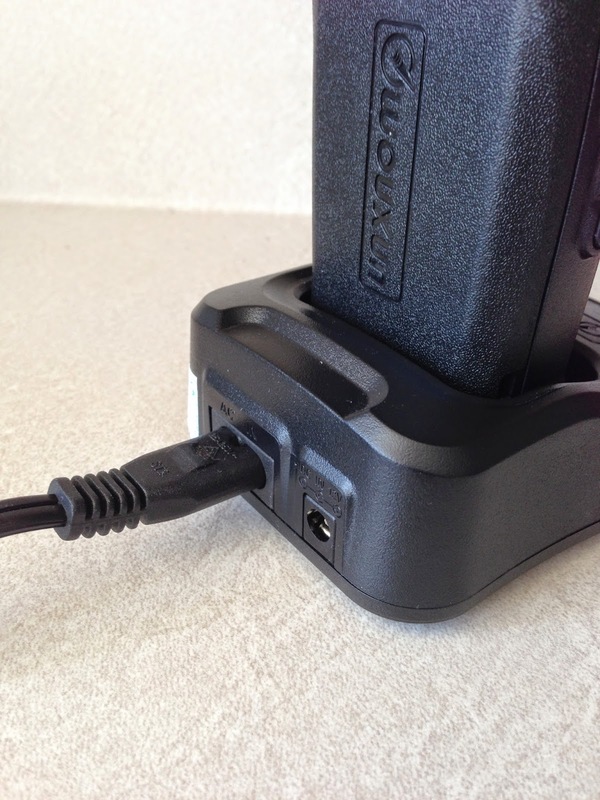 "The KG-UV8D comes standard with a 1700mAh battery pack in the box. However, for a limited time, Buy Two Way Radios is replacing the stock battery pack with a FREE high capacity battery upgrade!" "Demo versions of the KG-UV8D featured green A/B and EXIT buttons on the keypad. When Wouxun officially released the radio to market, the buttons were black. Those who were expecting the KG-UV8D to ship with green buttons were disappointed to find they were black. "Well, due to popular demand, Buy Two Way Radios worked with Wouxun to bring back the green buttons, and now we have them! This is a limited run, and we only received one hundred of them, but now you can get a KG-UV8D with green buttons while supplies last. Whether we are able to get more in the future with green buttons depends on the demand." Some people are already getting their new ones. HRO is advertising a version 3 of the KG-UV8D, but according to Wouxun this is not really an upgrade. HRO mentions black buttons (instead of green) and I think this may create some fake drama around the various versions. I traded messages with the guys at BuyTwoWayRadios.com about the software problem with the KG-UV8D. They've seen a problem where the radio shuts down when transmitting. They aren't 100% sure, but the common factor seems to be that the customers had used the frequency adjusting software. They are working with Wouxun to find out more, but that will take some time. It sounds like they are working hard to keep their customers happy, but I would recommend avoiding the frequency expanding software just in case. "So i just got off the Phone with buytwowayradios.com because my radio has issue I found out that if you download the Software on Miklor.com it can screw up the radio but making the sound muffle and shutting it down and they said there is no way to fix the problem at the moment.Do not download the software.They said they have had multiple people complain.But they are still going to exchange the radio for me.Great Customer Service." By pressing and holding the 3 Key while doing a PowerON,the UV8D will display the Model, Version and Date. First and foremost, thanks again to the guys at BuyTwoWayRadios for loaning the KG-UV8D to me. For the TLDR crowd, I'll sum up by saying that I think this radio is the next step in the evolution of the Chinese handheld transceivers. I say this for a few reasons. First, I think we will start to see a lot more color displays. The true dual receive is a step forward as well. While I don't believe that cross-band repeat will now be available on every new radio, it does demonstrate the potential capabilities coming out of China. And little things like the blinking phone icon for activity (that I discuss next) also add up to make this an great evolutionary step. As I mentioned, I'll start with a small thing that makes a huge difference and makes me wish all my radios had this feature - the blinking phone icon to indicate which frequency had the most recent activity. Such a simple thing, but when you aren't staring at the screen and are monitoring two repeaters owned by the same ham, it eliminates any confusion about where the activity was. And for what it's worth, I do like green for the "A/B" and "EXIT" buttons. It just makes navigating a little easier. I don't know why the new radios have all black buttons - saving a penny in the manufacturing cost? From a subjective perspective, I really like how the radio feels in my hand. It isn't that much thinner than the KG-UV1DP, but it feels better. I also like the feel better than the Baofeng UV-5R. The dual receive works perfectly. While my brain/CPU can't always follow two conversations at once, it allows me to hear both and then easily pick one to monitor using the RPT button to switch to the single frequency mode. As for the cross-band repeat, I did not encounter any problems using it. I think it is a great feature/option to have, but not something I will use all the time. For temporary usage I think it is perfect, but I cringe anytime I read about someone trying to make this a "permanent" repeater. Speaking of options, the KG-UV8D lets you customize the functions of some of the keys, so you can tailor it a bit to meet your preferences. People always ask about the S meter on these radios. Between my good QTH and mostly listening to some great repeaters, I don't see much besides a full meter. Here is a short video here showing something besides zero and full strength. Scanning is fine for my use, but by others' standards it is still too slow. A sample is here, so you can decide for yourself. "Receive sensitivity is very good- about 0.25 microvolt. Back light stays on during scan- same as other Wouxuns. Seems it should be OFF during scan and ON when it stops on an active channel. Scan is still not professional- scan stops when any button is pressed. As a result, if you think you are scanning but bump any button, scan stops and you don't know it. The scan button should start and stop scan period, unless it is in SE mode where it automatically stops on any active channel. 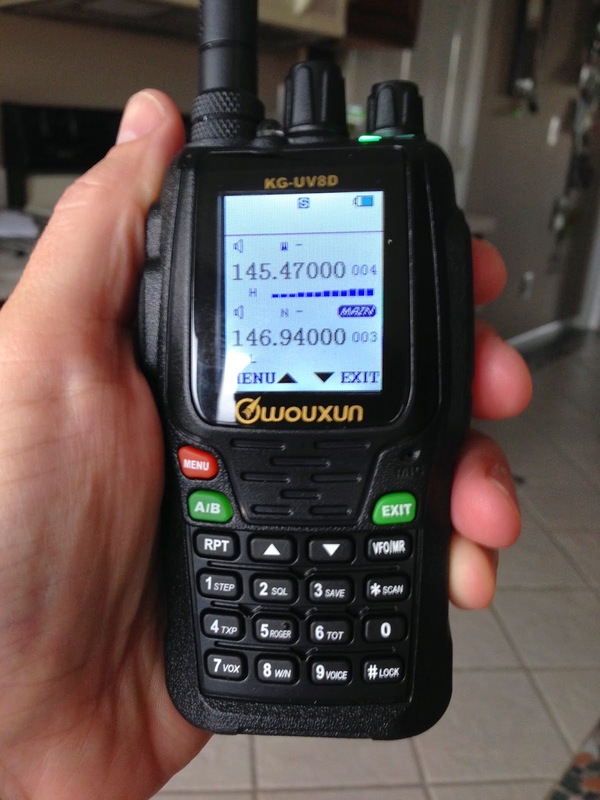 The 8D is a very nice radio and it will replace my aging (but still working) 4 year old KG-UVD1P." My test unit would do 135 to 174.995 and 400 to 479.995 out of the box. Miklor has the software to expand the frequencies (134 to 174 and 400 to 519), but you do so at your own risk. Here both radios fail miserably. For some reason both manufacturers weren’t able to to get this right, resulting in an awful lot of spurious emissions up and down the carrier. The problem is most evident when you’re receiving around the third harmonics of your transmit frequency." His post indicates more information will follow. Spoiler alert - he likes the KG-UV8D. So, it works. It was no trouble to get going... this was just a super quick and dirty test. Hams are branching out... a Facebook page/group to go with the Yahoo Group. I have been neglectful in mentioning in each of my posts about the KG-UV8D that it is on loan from BuyTwoWayRadios.com. Thanks again to the team there for letting me play with the latest from Wouxun! The scanning speed is quick. I programmed in a bunch of repeaters and such this morning to test. Sorry it keeps stopping, the local repeaters were busy today. There are four buttons on the left side of the radio. Starting at the top and going down, you have PF1, PTT, PF2, PF3. You cannot change PTT or PF2. PF1 and PF3 can be configured via the software as well. 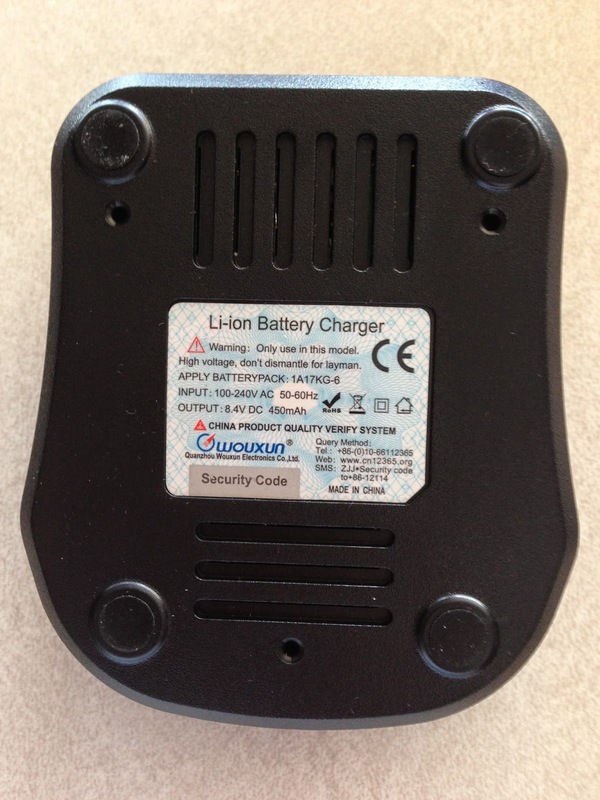 Here is a look at the charger. 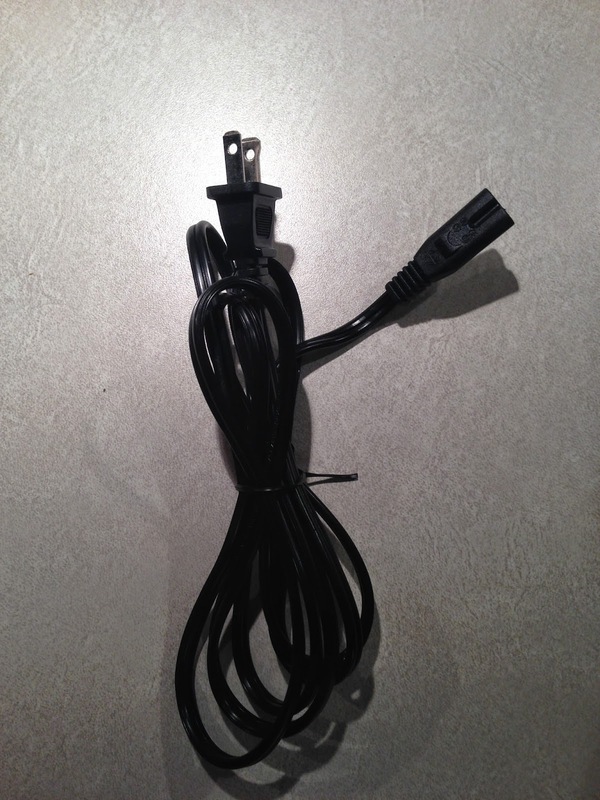 There is no power brick - the AC cord goes straight to the outlet. 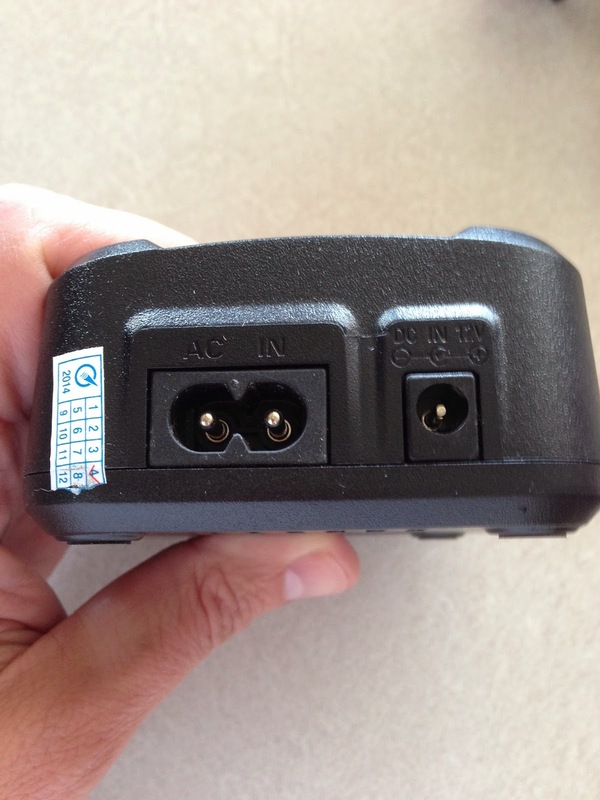 It also has a DC 12V port. The "required" Yahoo Group is here.